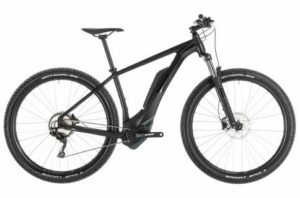 Nothing combines ease of use and fun quite as well as an e-MTB – and few e-MTBs can match the CUBE Reaction Hybrid EXC electric bike for value and performance. 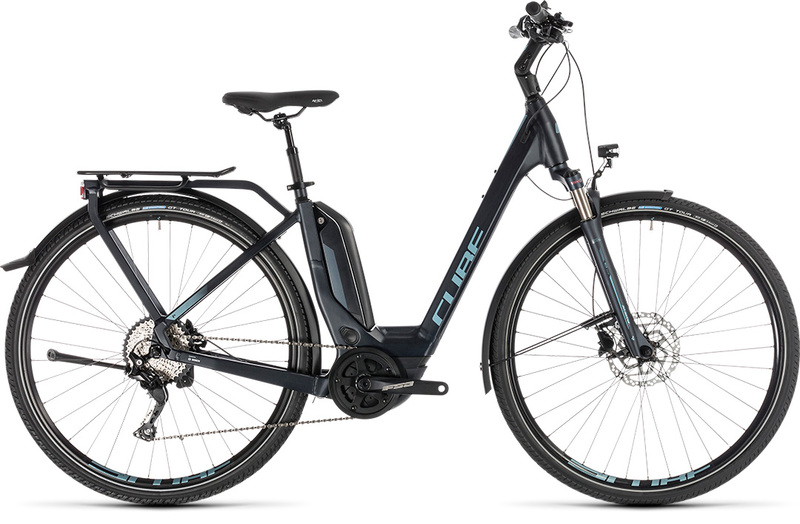 Whether you’re tackling a longer commute or fancy a challenging, multi-day route away from the hustle and bustle of the city, the Touring Hybrid Pro is the Bosch e-bike for the job. The Bosch drive system is a work of art in its own right. 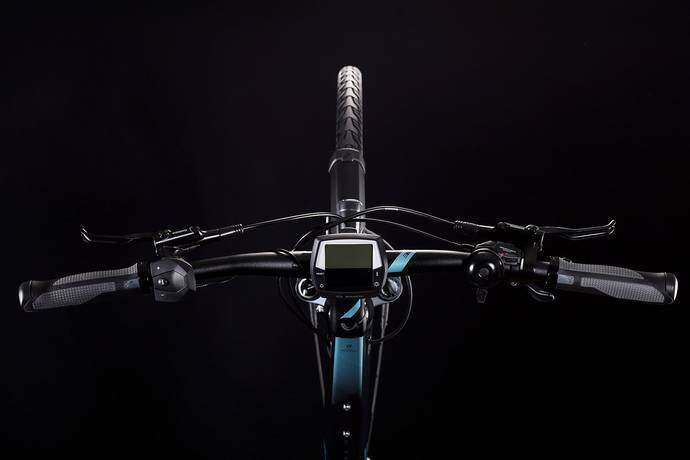 Quiet, unobtrusive and powerful, it works seamlessly with Bosch’s clever software to deliver a ride that’s so smooth, you’ll soon forget that you’re riding a pedal assist bike at all. 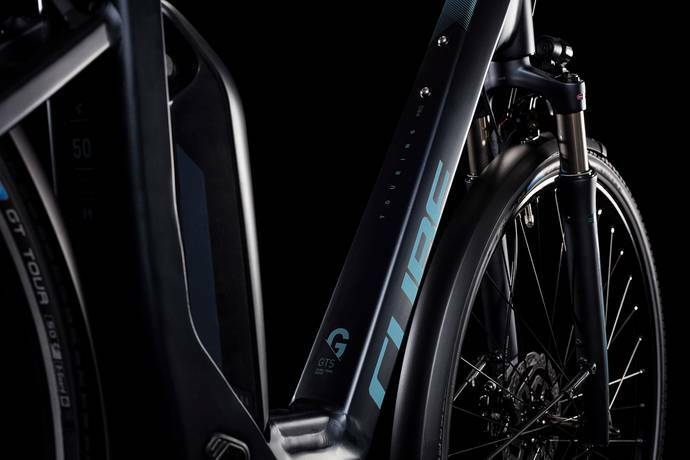 Throw in the integrated luggage rack, the mudguards and lights, inspiring but safe handling and a set of components picked for their reliability, and you’ve all you need for any riding adventure. 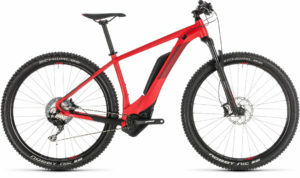 From the easily adjustable air sprung Suntour fork for more comfort on rough roads, to the wide-ranging 10 speed Shimano Deore gears and powerful, all-weather hydraulic disc brakes, there’s everything here that you need,,, and nothing you don’t. We even included a suspension seat post for extra comfort on those long rides at the weekend. Now, where will your next ride take you? Headset FSA Orbit 1.5B ZS, Top Zero-Stack 1 1/8″ (OD 44mm), Bottom Zero-Stack 1 1/2″ (OD 56mm). 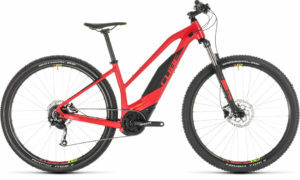 Handlebar Cube Rise TrailBar, 700mm. Rear Derailleur Shimano Deore RD-M6000-DGS, ShadowPlus, 10-Speed. Brake Shimano BR-MT200, Hydr. Disc Brake (180/180). Crankset FSA CK-602, 175mm, 38T. Cassette Shimano Deore CS-HG500, 11-42T. Hub Rear Shimano FH-M6000, QR, Centerlock. Drive Unit Bosch Drive Unit Active Plus (50Nm) Cruise (250Watt). Enter your details below to receive our email newsletter with our latest news and special offers.